Ben Keating and Jeroen Bleekemolen will co-drive the No. 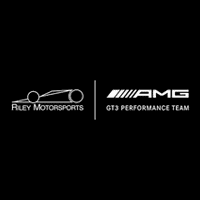 33 AMG-Team Riley Motorsports Mercedes-AMG GT3 with Mario Farnbacher and Adam Christodoulou in the IMSA WeatherTech SportsCar Championship’s season-opening 55th Rolex 24 At Daytona, January 28 – 29, at Daytona International Speedway. Full-season teammates for the fourth year, Keating and Bleekemolen will race with Farnbacher, Christodoulou and Mercedes-AMG for the first time in the Daytona opener as they kick-off their bid for the 2017 IMSA WeatherTech GT Daytona (GTD) class team and driver championships. Keating, Bleekemolen and the No. 33 team finished second in the GTD championships this past season. Farnbacher races with Keating, Bleekemolen and the No. 33 Riley team for the first time after being one of their major competitors this year and last. “It seemed like very often this year it was always us racing against Mario in the No. 23 car at the end of several of these races,” Keating said. “We always had a lot of fun battles and I know we will have a really great team between Mario, myself and Jeroen for the entire NAEC.” IMSA WeatherTech Series testing, Daytona International Speedway, Daytona Beach, FL, December, 2016. (Photo by Brian Cleary/bcpix.com) Christodoulou is an AMG Customer Sports driver who was part of the winning overall team at this year’s 24 Hours of Nurburgring, leading a convincing top-four sweep in the grueling race by Mercedes-AMG GT3 teams. He returns to the Rolex 24 for the first time since finishing sixth in the GT class in 2011, his only previous appearance in the twice-around-the-clock Daytona race. “To have Adam come on our team for Daytona will be great,” Keating said. “He is an AMG driver and has been running this car in events all around the globe. It is also nice that he has experience here in the Rolex 24. That is key for someone coming from across the pond to have experience at Daytona with four classes, navigating the traffic and the different rules. He is going to be a great teammate.” Keating co-drove to the GTD class win in the 2015 Rolex 24 but his accomplished teammate Bleekemolen, surprisingly, is still looking for his first Daytona victory.